These new Visual Snapshots are more-or-less a rebirth of what we use to see in Google Now. That it, you get personalized information from various resources all on one pane for you to view and manage. That went away for the most part with the transition to the Google Feed in the Pixel Launcher as well as the roll out of Assistant more broadly. 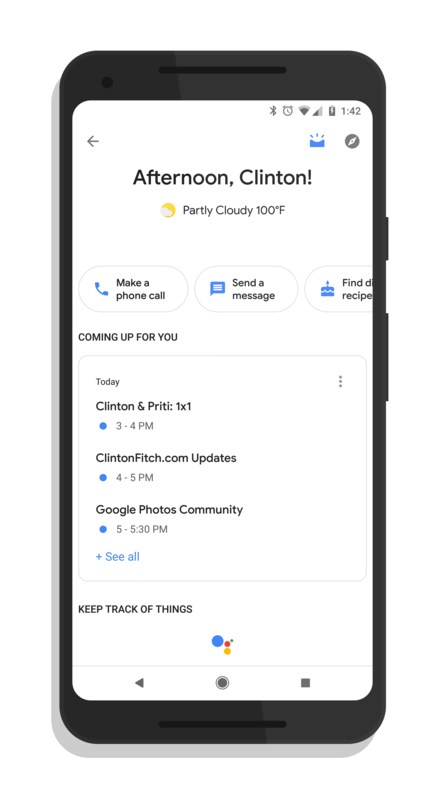 This returns a lot of that personalized information to make Assistant a bit more useful than just asking for bits of information. The enablement of this feature is a cloud-side update on your Google account so if you aren’t seeing it yet, give it time. It will get to you eventually. Also keep in mind that it is both for Android and for iOS. Personally my account got updated late this afternoon and frankly, I had forgotten just how useful this information is while I’m on-the-go.